Tanti auguri, Alles Gute to a great singer, poet, person, who is today 70 years young!!!. To the one who accompanied – and, ironically, described – each day of my last ten years! Happy 70th birthday to the one who flirted with me…year 2002, was it Strasbourg or Oberhausen or where else??? Well, it was nice! Once again, thanks for playing Shooting star 😉 A kiss! 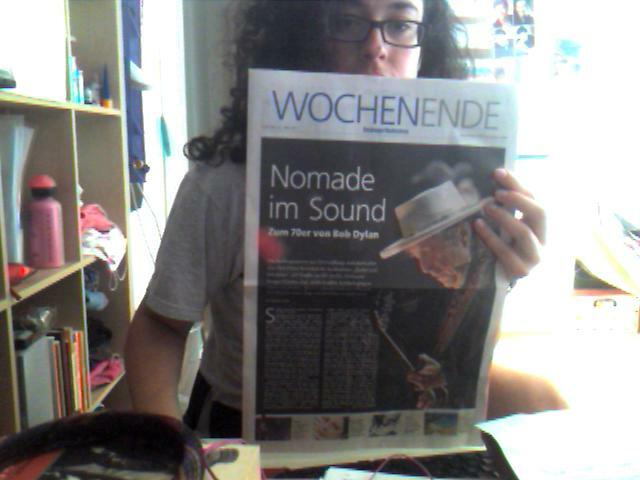 Here the Sunday special of the main Salzburger newspaper, dedicated to you!